1.Elevating, Lowering, Pulling, Pressing, Pushing, Rolling. precision, safely self-locking, Heavy duty, Uniform lifting speed. 4.Dynamic loading: 0.1T ~ 26 T.
5.Input Horsepower Ranges: 0.03 HP ~ 21.5HP. 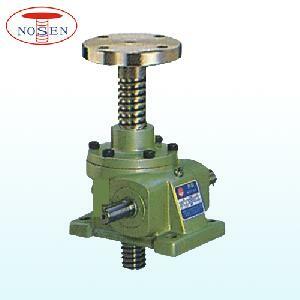 6.Lifting Screw Diameters: 20 mm ~100 mm.